We cater any event large or small! We offer full service as well as drop off catering. Give our Catering Manager, Freddie, a call today to set up your event 443-622-7181! We have two different room options to suit any of your parties needs. 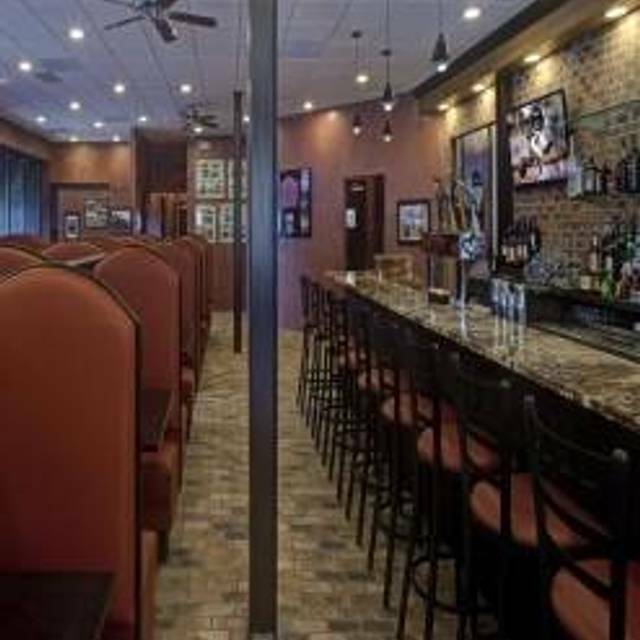 We have a private and semi private room with flexible menu options. We are a fit for any type of party. You won't find better baby back ribs and jumbo lump crabcakes in Baltimore! If you can't come in to see for yourself; order online and try out our delicious ribs and crab cakes - we'll ship them to you. Now open in the Kings Contrivance Shopping Center in Columbia serving the same great food in our restaurant and bar. Come in and watch your favorite games on one of our sixteen big screen tv's and enjoy our daily food and drink specials. Located at 8630 Guilford Road, come in and check us out! Our Danish Baby Back Ribs are slow roasted until the meat is ready to fall off the bone! The best you'll ever taste! Our half pound colossal and jumbo lump crab cake with a half rack of our "fall off the bone" baby back ribs! Our half pound colossal and jumbo lump crab cake with a full rack of our famous "fall off the bone" baby back ribs! Two juicy boneless chicken breasts grilled with our famous barbeque sauce. Try it with our New Sweet & Spicy Carolina BBQ Sauce! Freshly roasted turkey served with Yukon gold mashed potatoes, green beans, stuffing, gravy and cranberry sauce. Just like Thanksgiving! Two jumbo chicken breasts hand breaded with our special seasoning, tender & moist! A broiled half pound crab cake made with colossal and jumbo lump crab meat and a blend of our chef's special seasonings. A Corner Stable Classic! A charbroiled Impossible burger topped with lettuce, tomato, red onion and homemade guacamole. Served on a toasted ciabatta roll. All kids meals come with stable fries or tator tots and a kids drink. *Consuming raw or under cooked meats, poultry, seafood, shellfish and eggs can increase your risk of food bourn illness. Great food, good service, was seated immediately with our open table reservation! The food was decent, and the service adequate, but the noise level was so high that I will come back only at times when it is not busy. Thank you for taking the time to leave us a review, I do know it can get a bit loud in here (do to the acoustics) around peak times. Usually the restaurant side with the booths is a little quieter than the other side of the restaurant. Overall very nice neighborhood place. Tasty food served fairly quickly. Crab cakes are a specialty and they do a great job using mostly back fin. They serve a 10 oz glass of wine (in addition to the 6) and this is just the right size for the food they serve. We enjoy the place but on Saturday you should have a reservation as there are a lot of neighborhood walk ins. Thank you for taking the time to leave us this informative review! Disappointing visit for dinner. Slow service, one dish that should have been hot was cold. Great service, good food. Nice casual restaurant and bar. Thank you so much for taking the time to leave us this 5 star review! We were in town to visit Family and we frequently eat at the Corner Stable. The ribs and crab cakes are excellent and all the food was delicious. Thank you for taking the time to leave us a review and we are honored that you chose to dine with us while visiting from out of town! Great food and accepting of a last minute large party reservation! I'm glad that you enjoyed your food and your visit with us! We always try to fit in last minute guests to the best of our ability! Hope to see you again soon! When we arrived for our 7:30 reservation, we were seated right away. That was the best part of our experience at Corner Stable on Sat. 3/23/19. Our waitress did stop by shortly thereafter to get our drink orders and then another waitress stopped by about 5 min later trying to take our drink order again. (She wasn’t sure if we were her table or not.) We got our drinks within 10 min of sitting down. At that time we placed our appetizer and meal order, then nothing for 30 min, at which time our dinner order came. No appetizer and the salad I ordered came with the dinner. We canceled our appetizer, yet it came about 2 min later. As for the food, we had ordered streamed shrimp as the appetizer. When they finally came out, they were good, but not piping hot which we assumed was the delay in receiving them, yet pricey! I ordered the crab cake and ribs and companion ordered a brisket sandwich. The crab cake was all lump with little filler yet also little seasoning so kind of bland. The half rack of baby back ribs were very skinny (not much meat) and very saucy with a sweet bbq taste which I didn’t enjoy at all. The brisket sandwich was just okay. We had 1 bottled beer and 2 drafts and with a 20% tip, we got out of there for just under $100. Too steep for just an average dinner for 2! We had an excellent server (wish I got her name) for our party of 7, who informed us when she would be a bit delayed as she took the order for another bigger party. She also had the kitchen redo our chicken tender takeout order without us having to ask because it was over-cooked. The food was delicious. We have been here a number of times and the service was always excellent. On this visit, the service was less than adequate at least initially. We were seated in the almost empty mid-Saturday afternoon restaurant for 15 minutes before approached by anyone and he was not even our server. He apologized and offered to get us drinks. However, it took another 10 minute for our assigned server to bring our ice tea. After that, service was adequate. That experience will not stop us from going there, but it was disconcerting. Service was slow and food was not up to par. Alcoholic beverages were fine. We eat there once a week because of the beer, menu and lovely staff. Thank you for leaving us this great 5 star review! Always good to hear from our regulars! Staff was very friendly, from the moment we arrived. The food was delicious and worth the money. Thank you so much for taking the time to leave us a review! The food is outstanding, especially the ribs. Fall off the bone tender!! And with a reservation through OpenTable, we talked in at the time reserved and were seated immediately. The waiting area was overflowing, but not for us! Than you so much for taking the time to leave us a review! I'm so happy to hear that you had an enjoyable visit with us! I’ve read and heard that the Corner Stable had great ribs and outstanding crab cakes. We experienced neither. Other than the dessert, the salted caramel crunch cake, all of the food we had was fair. The dessert was good, but not the best I had. They were out of the original dessert I wanted to get, the apple crumb pie. The rsaice on the ribs was not very good, tasted too much like ketchup. The crab cake I had, while it was large, was probably the most bland crab cake I’ve ever had. It was meaty but it was so tasteless that it didn’t matter. The macaroni and cheese as a side was pretty tasty, as were the baked beans. The corn bread was one of the highlights of the night. Thankfully we had gift cards to cover almost all of our bill. The selection of craft beer was really good too, but not worth a trip to Columbia for us just for that. Our waitress was very attentive. The food was excellent and arrived in a timely manner. Thank you for taking the time to leave us a review! I'm glad to hear that you enjoyed both the food and service and hope to see you again soon! I was disappointed that there was ZERO anything to recognize and celebrate a birthday. The reservation stated that is was a special evening, and the waitress and servers knew as well - very very disappointing. When we arrived the hostess didn’t have our reservation even though I showed her my email confirmation but luckily they still had availability. I also received credit for the visit so they must have found it later I suppose. The food was great as always. The server was friendly and attentive. I gave it 4 stars because it seemed to take a very long time to receive our food from the kitchen. They were busy but not at capacity or anything. We would still continue to go because their food is great! We even told someone about it before we went and they were glad to receive the recommendation of another restaurant to check out! Thank you for taking the time to leave us a review! I do apologize for the wait time for your food, we do try to get order out expeditiously as we can. Corner stable has a nice relaxed atmosphere. They have a good beer selection. Prices are reasonable. Staff are warm and friendly. Food is decent. Thank you so much for your wonderful review! Hope to see you again soon! Saw this place on TripAdviser and gave credence to ratings and reviews. However, our experience fell short of the more favorable reviews. Food quality was average. Property could use facelift. We had a great time! Delicious food and a ice atmosphere! Beer selection and service was excellent. Food was OK, but not memorable. My steak (cooked medium, pink inside) was a bit tough. Crab cake was also OK, but was expecting better given this is a specialty of theirs. The food here is really good. I’ve been 3 times. The wings are especially good. The burgers are excellent. 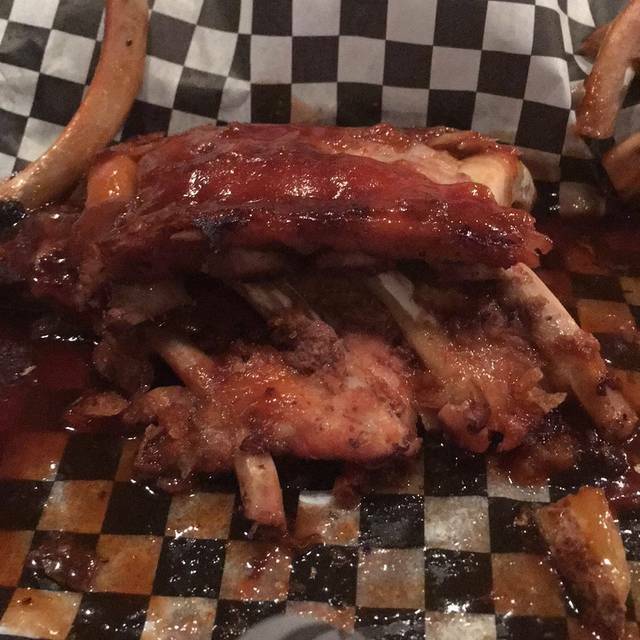 I ribs are so tender they melt in your mouth. I had the crab cake which had very large pieces of crab. Very very good even though it had some fillers but still seemed a great crab cake and large. I will order it again. My only complaint is that it was not hot nor warm. I should have returned it to have them heat it up but I was so hungry I could not wait. The Corner Stable will be my regular place to go. Great place for lunch with coworkers. Good variety of food. If you want ribs, crab cakes and beer in Columbia, this is the place to go. Good food and service. We went on the night that crab cakes are reduced in price and they were colossal/fabulous. The crab soup was a great appetiser and the beer selection on tap was fabulous. Monday night the Corner Stable has a Ribs Special! Moist and tasty! You've got to love their Ribs! Great service from Dawn, too. Service was slow. Why does it take so long to be waited on and order drinks? Then why do the drinks take so long to arrive? Food was very good as usual. It was not that busy when we arrived. Something is wrong in their service model. We love the beers and the sandwiches. Always willing to substitute sides. Thank you for the wonderful review! We're happy to hear you enjoy our beer selection, we are always getting new local and seasonal specialties that you can check online through beermenus and untappd. We also have a brand new specials menu coming soon that's complete with sandwiches, entrees, appetizers, and cocktails. Thank you again, we hope to see you soon! My wife and I enjoyed our dining experience. The only thing that I would suggest is that you season the fries. Plan to be there late tonight for dinner - twice this week. We went with friends for a dinner. We all ordered something different and we all were pleased with our choices. It is good casual dining. We made reservations but that was not necessary. Service is prompt and food came really quickly. We will go back. CRAB CAKES LOTS OF STARS. SERVICE OK...BUT OUT OF HOUSE WINE ???? ?SERVICE A LITTLE RUSHED TAKING ORDER AND A LITTLE SLOW COMING BUT WORTH THE WAIT. We go weekly. Nice staff. Great beer. Tasty dinners.